People walk down a runway during a past international pageant. Years after Oscar Awards winner Lupita Nyong’o sprouted and took over Hollywood by storm, the fertile lands of Kisumu are readying another star in a slightly different field. 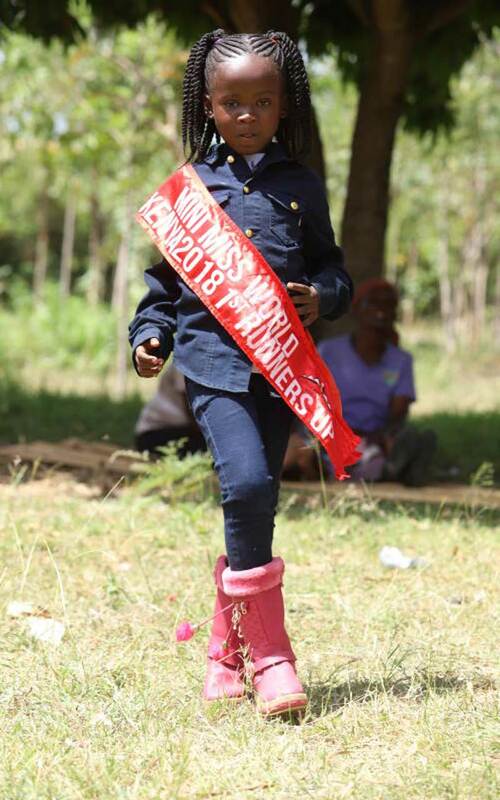 Aileen Akinyi, 6, is the talk of Got Okode village in Seme after she won accolades following competitions in beauty pageants to a level she is set to represent Kenya internationally. The Grade One pupil at Hawi Group of Schools has bagged numerous awards including Mini-Miss World Kenya, 2018 and Tinny Princess Kenya, 2017. In September this year, Akinyi is set to represent the country in Miss Tinny competition to be held in Spain. She will also represent the country a month later in the same competition in Japan. Aileen Akinyi. She is set to represent Kenya in Japan and Spain. According to her mother, Akinyi’s talent was discovered at her own wedding where the young girl served as a flower girl. Since then, the mother has had the pleasure to board a plane for the first time thanks to her daughter getting selected to fly alongside Tourism Cabinet Secretary Najib Balala. She had been selected to Welcome Balala to Kisumu on his mission to launch an inaugural scheduled flight. Today, the only impediment between Akinyi and her worldwide success is the financial constraint which saw her miss the first international pageant she was set to attend in Greece in 2017. “It would be disappointing for our daughter to fail to represent Kenya again because of financial constraints. She keeps asking me if she will be travelling but I lack answers,” posed the mother as reported by The Standard. Her parents have pegged the total cost of transport and accommodation to Ksh1 million. Ksh600,000 to be spent in Spain and Ksh400,000 in Japan. Kisumu County First Lady Dorothy Nyong’o with Aileen Akinyi and other guests.